The School Age Program may enroll a maximum of 20 children. 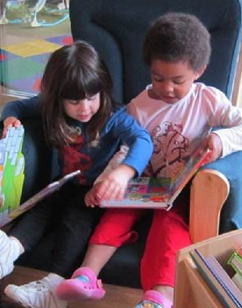 For children grades kindergarten to 12 years old, after school care is provided to 5:30 pm. On school holidays, snow days and during vacations when the Center is in operation, care is available from 7:00 am -5:30 pm. The School Age Program has it’s own classroom. Children are provided a safe, comfortable and flexible atmosphere for planned and independent activities. Through outdoor play, arts and crafts, and other activities the School Age Program achieves its goals.